Pensacola Beach Yacht Club is based on Pensacola Beach, FL. We are a sailing and social club. Our membership rates are very affordable with a low application fee of $105 and annual dues of $200 for couples and families and a singles membership of $150. 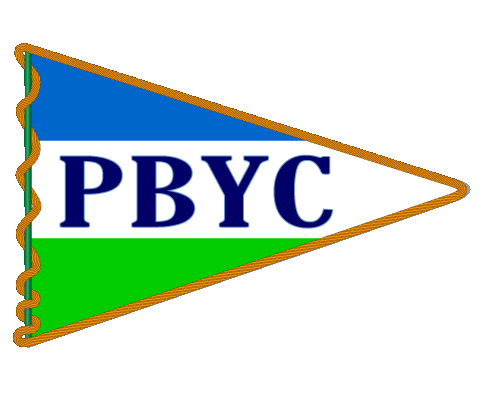 PBYC History - Al Greene has compiled a history of PBYC since its inception in 1980 by a loose group of live-aboards and racers to our current club with its own waterfront clubhouse. If you have any updates to this page or pictures you can share, please email vicecommodore@pensacolabeachyachtclub.org. There are many ways to stay connected with your fellow club members of Pensacola Beach Yacht Club. Become a Member and receive members only emails, newsletters and invitations. Subscribe to our non-member emails. Follow us on our public Facebook Page. Show up for an event. Wednesday at Hemingway's is a regular weekly event, as well as Sunday Sunsets at the Sandbar. Get on a boat. If you want to get involved in racing, need crew, want to crew, or help with race committee - then check out the upcoming race schedule. Show up for skippers meeting or contact Fleet Captain.